If you’re a current subscription customer, you will be allowed to take a CSWA or CSWP certification as well as one of the speciality exams for free! Step 2 Click on certification. Go to Subscription Services for customer. (Check out this link: http://www.solidworks.com/sw/support/subscription/Certification_Offers.html). Get free code (you may have to scroll down). Step 5 Log in to the SolidWorks Certification centre and download TesterPRO. If you already have a Certification account Log into the SolidWorks certifications centre or otherwise create new account. Download TesterPRO The testing client is standalone software that must be downloaded to the testing computer. It is available online and is a small application; total download time is usually less than a minute. Initially a user must setup an account, or login to an existing account. 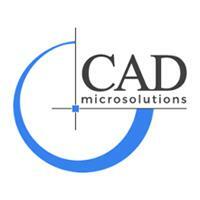 If you have any questions about the new CSWP exam, please feel free to contact us at solutions@cadmicro.com. OR Call us at 416-213-0533 Ext 0 or 1-888-401-5885 Ext 0.